Jenni Swain, pictured, joined the Gallia Chamber of Commerce Board of Directors in January 2018 and now serves as the youngest female president for the Chamber Board. Jenni Swain joined the Gallia Chamber of Commerce Board of Directors in January 2018 and now serves as the youngest female president for the Chamber Board. In addition to her role with the Chamber, she serves on the Community Improvement Corporation Board and Ohio Valley Bank’s Gallia First Team. Swain is a Gallia County native, hailing from Crown City. She is the daughter of Jack and Merry Stapleton and one of nine siblings, many of whom are self-employed entrepreneurs. She credits her instilled work ethic and responsibility, as well as her sense of humor, to growing up in a large family. Swain is a 2004 graduate of South Gallia High School. She began her 16-year career with Ohio Valley Bank in 2003 and currently serves as their Marketing Project Manager. While advancing her career with OVB, her many roles in various departments has allowed her to diversify her talents and abilities. Through “Impact” hours, provided by OVB, Swain has been privileged to volunteer with many organizations and entities, including the Gallia County Senior Resource Center, Ronald McDonald House, Special Olympics, and the Gallipolis Railroad Freight Station Museum, to name a few. Swain and her husband of 15 years, Brian, own a small farm off State Route 7, where they are raising three daughters, Natalie, Lyla, and Finlee. They are welcoming a fourth daughter, Sable, in July. Swain enjoys photography, graphic design and spending time with her growing family. 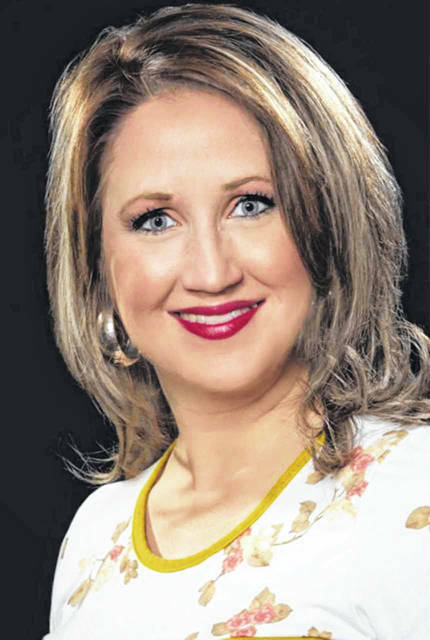 https://www.mydailytribune.com/wp-content/uploads/sites/42/2019/03/web1_3.28-Swain.jpgJenni Swain, pictured, joined the Gallia Chamber of Commerce Board of Directors in January 2018 and now serves as the youngest female president for the Chamber Board.